Customer Reach Newsletter December 2011 | The Taylor Reach Group Inc. If you are not already a subscriber, please subscribe to our Customer Reach Newsletter! 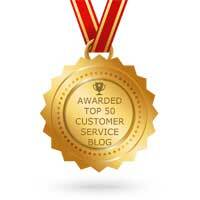 Customer Reach provides news and views of the contact center industry. It is sent to more than 11,000 senior contact center executives, like yourself around the globe. Please feel free to forward this newsletter to any colleagues you feel would appreciate it. Let us know what you think of this issue and your thoughts and suggestions on how we can improve. You can reach us by email: [email protected] or [email protected], we would love to hear from you.